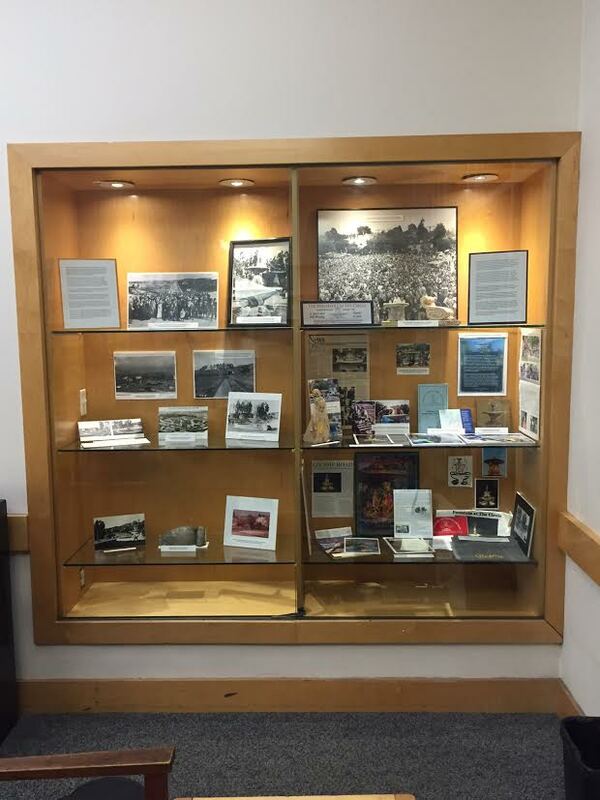 All this month at the Albany Public Library, you can view a display on the history of the Fountain at The Circle and Fountain Walk and the work of Friends of the Fountain and Walk to ensure that these city landmarks are preserved for current residents and future generations to enjoy. 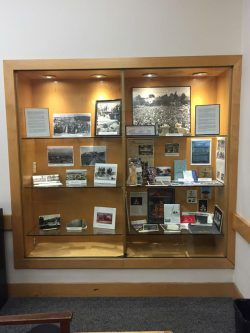 The exhibit, which includes vintage photographs and documents, images of both the original fountain (destroyed and removed in 1958) and the restored fountain (installed in 1996), and working models of works by sculptor Sarita Waite (who re-created the fountain’s beloved bear cubs), is contained in a large display case just inside the front entrance to the library. It coincides with the 20th anniversary of the fountain’s restoration in September 1996. The Albany Library is located at the corner of Marin and Masonic avenues, and is open daily except Fridays. Hours vary each day. You can find the schedule and more information here. Please take some time to stop by and visit our exhibit. And please consider becoming a donor, a volunteer, or purchasing some merchandise from Friends of the Fountain and Walk. You can do that with ease by clicking the appropriate links on this website.